A former editor who was responsible for a number of weekly newspapers and could write shorthand at 150 words per minute has died aged 74. He also worked for the Lancashire Evening Post for 13 years beforehand, where he rose to the position of assistant editor. After leaving journalism, Derek started his own public relations consultancy and counted the now-defunct Vale Royal Borough Council among his clients. Born in Warrington, where he would live all of his life, Derek decided he wanted to be a journalist while helping to produce a school newspaper. While attending a secretarial school, where he was the only boy in a class of 20, he gained shorthand and typing qualifications before landing a job as a trainee reporter with the Cadishead and Irlam Guardian. After 18 months he was transferred to the Warrington Guardian as deputy chief reporter and remained there for just over three years. He then joined the Lancashire Evening Post’s Wigan office as a reporter and took charge of offices in Warrington, St Helens and Leigh before returning to Wigan as news editor and later assistant editor. After 13 years with the Post, Derek returned to Warrington to help with the launch of a new title, before being appointed editor of the Cadishead and Irlam Guardian, followed by editorships of the Newton and Golborne News, Runcorn Guardian and the Northwich Guardian. 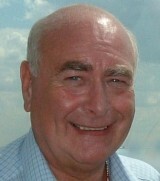 His appointment at Northwich later resulted in him being made group editor for the Guardian’s Mid-Cheshire editions including Northwich, Winsford, Middlewich and Knutsford Guardians, while role was later expanded to take overall control of these titles plus the Altrincham, Sale, Crewe, Nantwich and Congleton Guardians. After leaving the industry and launching his PR firm, Vale Royal created nd offered him the role of press and public relations officer, a post he held until he retired in June of 2002. The Guardian obituary adds: “Derek was a prominent Freemason in Warrington and throughout the Masonic Province of West Lancashire. He was editor of the province’s magazines and website and was the press and communications officer for several years. Derek, who died on 11 July, is survived by wife Jean, son Paul and grandson Ethan. Rest in peace. Sounds like one of the solid local reporters that papers treasured many years ago. Shorthand – my first chief reporter was an examiner for the NCTJ in shorthand so we all had to learn it – and there were beside him, five of us in the same district office about 7 miles fr head office – and there were two other district offices inputting into the same paper. Gone are those days. For what it is worth I still do shorthand 50 years after learning it – drives my wife nuts when I scribble out directions!! !